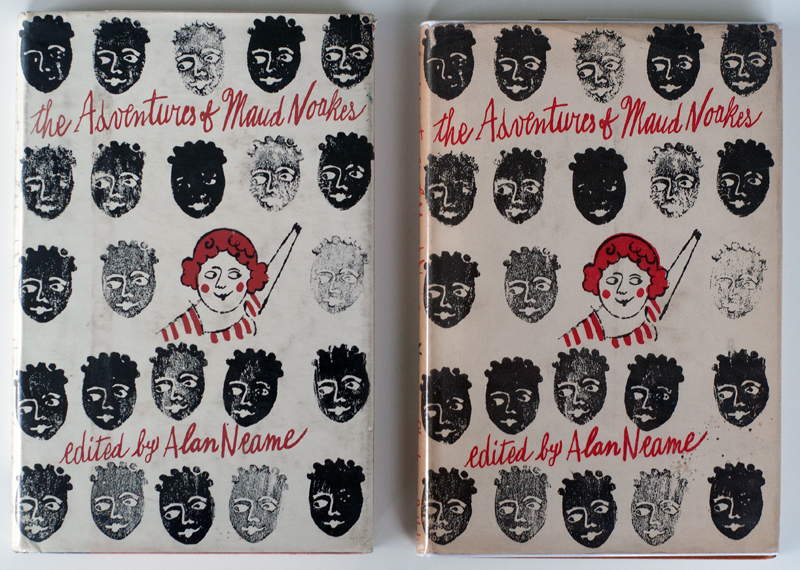 This entry was posted in Uncategorized and tagged adventures of maud noakes, alan neame, Andy Warhol, book, book cover, dust jacket, jacket, maud noakes, new directions, new directions 1961, new directions andy warhol, the adventures of maud noakes, the adventures of maud noakes warhol, warhol, warhol 1961, warhol book cover, warhol book covers, warhol dust jacket, warhol dust jackets by niklaslindberg. Bookmark the permalink. Hi Niklas. Thank you for linking to my shop! 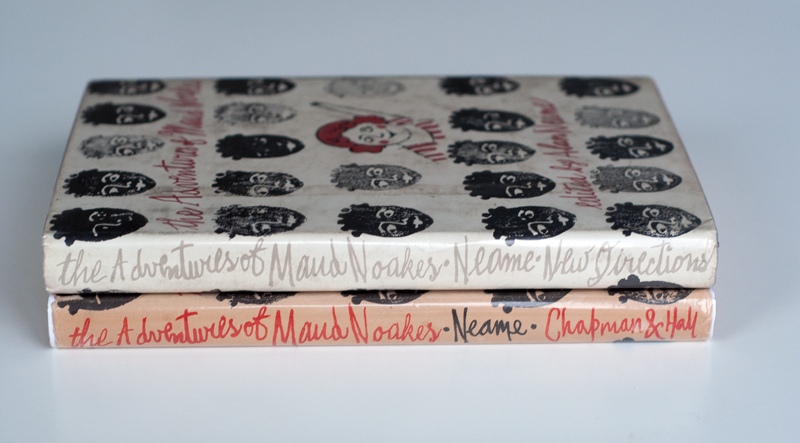 Also, I believe there to be a UK printing of ‘Maud Noakes’ through ND as well as the Chapman and Hall issue. I can’t seem to find one available now, but will keep an eye out. (I had also seen a copy of ‘A Dark Stranger” listed as a UK New Directions, but none seem to be available). 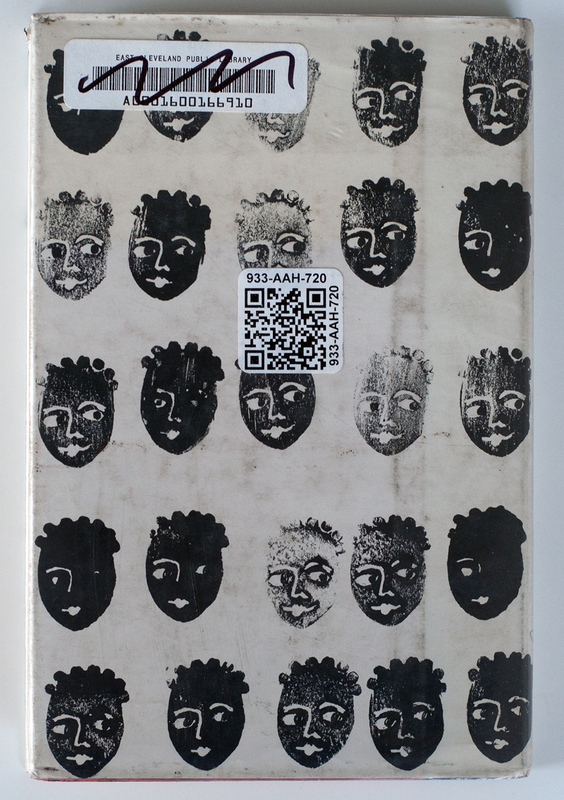 Between all of the great Alvin Lustig and Andy Warhol ephemera/correspondence that may be located in the New Directions folders, I too would love to take a trip to the Houghton Library. 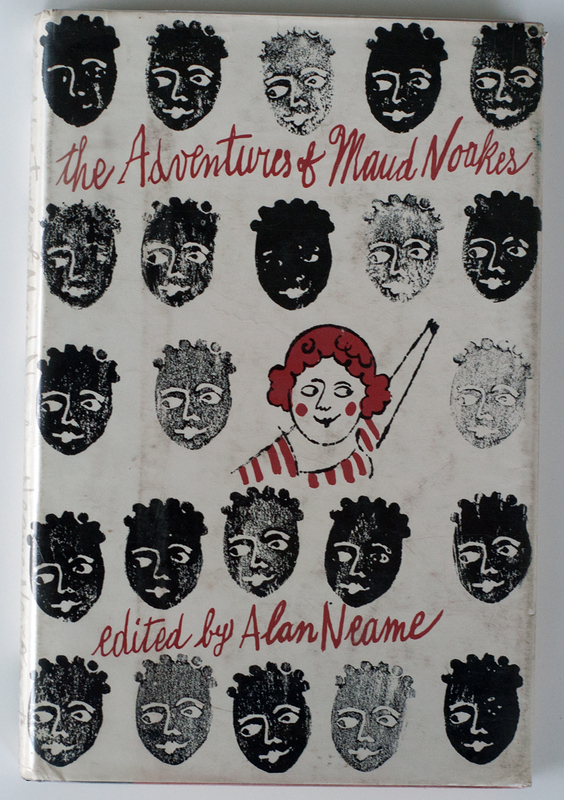 On the spine of the UK cover, two colours have been used. Name of the author, Neame, is in black. Title of the book and name of publisher are in red. On your UK copy all lettering is intact, on my copy the name Neame still is very black, but the red lettering has faded to light grey. Pity I can’t add a pîcture here, I’ll send one by email. Thanks Guy, as i always say i value your feedback very much. Yeah, it would be interesting to know for sure. I’m going to see what the people at Harvard have to say about trying to help. And about the ‘greyscale’ thing: if you make a b&w photocopy of a drawing or a text that is in black and red, the red will seem darker on the photocopy than the black. Just try it!